Representatives from Hucclecote Parish Council were out last night inspecting the improved road surface that is being laid on the M5. 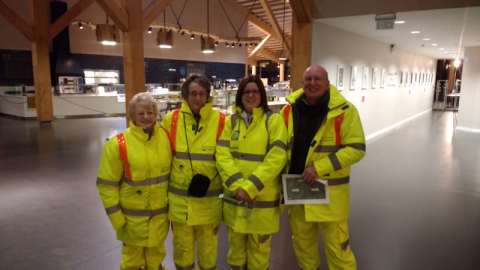 The team, pictured inside the Gloucester Service station, oversaw maintenance works that will see over 30 miles of carriageway resurfaced during February and March alongside repairs to the motorway services. The resurfacing works are expected to require 19,500 man hours of labour, with over 2000 lorry loads of materials being delivered from 2 different quarries to ensure the work is carried out quickly. The M5 has been operating with only one lane in each direction from Junction 11A to Junction 12 during the works, with a total closure in effect northbound during select dates. 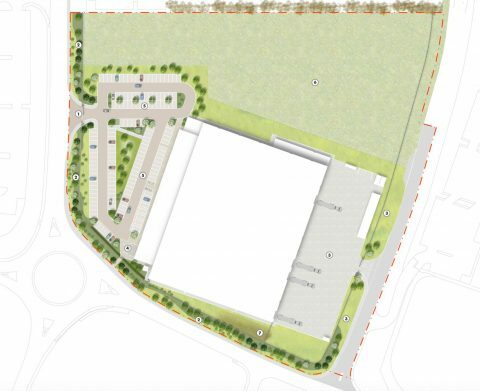 Plans for a new warehouse and office complex on the Gloucester Business Park have been submitted to Tewkesbury Borough Council. The development is on Plot 6200 (next to Wincanton, and across from Laithwaites Wines). The building will be the new HQ for TBS Engineering, which is relocating from Cheltenham. Around 160 staff will be working in the building making specialist machines linked to the production of batteries. The 100,000 sq ft facility will include for all the staff, and the site is large enough for the company to expand further in the future, if the business continues to grow. You can take a look at the various documents lodged as part of the planning application on Tewkesbury’s website. 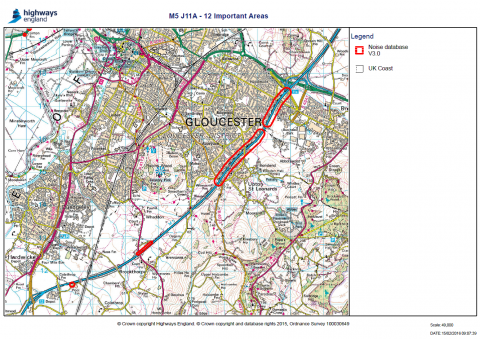 Hucclecote Parish Council’s relentless lobbying on this issue has helped to persuade Highways England to significantly bring forward its plan to resurface the M5. The work, which was originally scheduled for 2018-19, will now be undertaken in the spring of 2017. At present we have one of the noisiest sections of motorway anywhere in the UK. The main problem is that the carriageway surface is in a bad condition, and the rougher the surface, the higher the noise levels that are emitted. Our councillors are also exploring if improved sound barriers can be installed along the embankment in Sussex Gardens and Belmont Ave. The map below shows the areas that will be resurfaced in 2017.